LAVAL, QC. 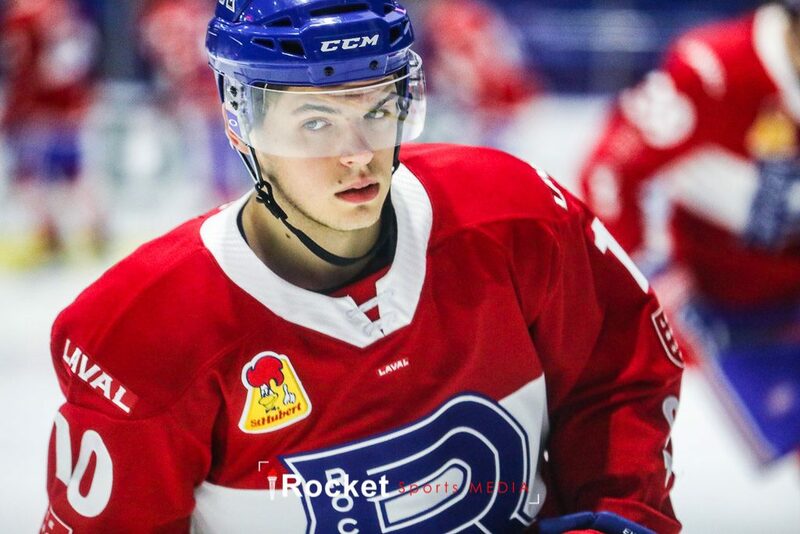 —The Laval Rocket are coming off a pair of weekend losses against Bridgeport Sound Tigers and the Syracuse Crunch. The Rocket took bad penalties in both games that ended up being costly. This week, the Rocket continue their four game road trip as they head to Utica to face the Comets on Wednesday night. Our AHL Report team will be reporting live from Utica, NY. Laval then heads to Charlotte for back-to-back games over the weekend starting on Saturday. The Checkers are currently first place overall in the AHL. Evans on fire – If you look at the Rocket’s player statistics, you will see Jake Evans on top of that list with six goals and seven assists. Evans is the team’s leading scorer tied with Alex Belzile. Evans has been the team’s best forward since Kenny Agostino was recalled by the Montreal Canadiens, and has been used by Joel Bouchard on the team’s top line and first power play unit. This is quite the progression as Evans started the season on the fourth line and gradually moved up to his current role. He’s currently in a sequence of 11 points in the last 10 games. Earlier in the season, I tweeted that Evans should spend the entire season with Laval regardless of the status of the Rocket or the Canadiens. The more I watch him play, the more I’m thinking that the tweet will not age well. 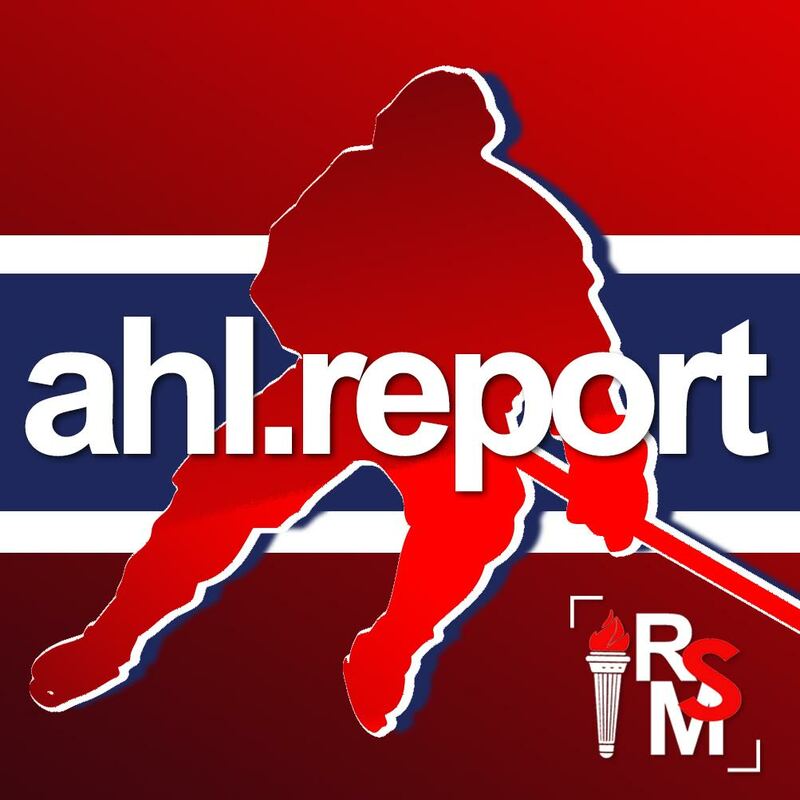 Our AHL Report team had an exclusive interview with Jake Evans here. Be sure to subscribe to our channel on YouTube. Solutions for defence – With the defensive struggles in Montreal this season, the question arises who in Laval can help on the back end? There’s no doubt in my mind that Brett Kulak has been the team’s best defenceman since the start of the season. He often plays on the top defensive pairing, first power play wave and on the top penalty kill unit. You can see his experience from 101 games played in the NHL. Kulak also pinches in offensively, and he finds himself often behind the oppositions goal line. At some point this season, the Canadiens will need a defenceman from Laval, and Kulak would be a good choice for the opportunity. Sproul’s value – Laval signed Ryan Sproul to a professional tryout earlier in the season to help on the power play. Sproul scored his first goal of the season on Saturday on the power-play. Sproul has struggled defensively, to the point that he was scratched by Bouchard for three games. He needs to improve his consistency in order to increase his value with the team. Interest in Lindgren – In an interview last week on Sportsnet 960 in Calgary, Elliotte Friedman mentioned Charlie Lindgren‘s name as a potential target for the Flames, who may be looking for help between the posts. There is no doubt that several organizations have interest in Lindgren, and with the Habs depth at the position, I can see how the Canadiens would be willing to trade him. With Carey Price locked in to the number one role for eight years, Lindgren’s ceiling with the organization would be as a backup. In addition, the Canadiens also have two other good goalie prospects in Michael McNiven and Cayden Primeau in the system. 91.9 FM’s uncertain future – Last week, Leclerc Communications announced that it has submitted an application with the CRTC to change the format of 91.9 FM in Montreal from an all-talk sports station to music. The entire review and approval of the application will take several months to be completed by the CRTC. If the application is approved, this would leave the Laval Rocket without a radio broadcaster, and I don’t think other radio stations will jump on the opportunity. Perhaps the Rocket would produce their own broadcasts. I am keeping my fingers crossed for Anthony Marcotte and Raphael Doucet, who currently do an excellent job on the broadcasts for 91.9FM. Leave your comments below. I am looking forward to interacting with all of you.